The Door Panel Upholstery Tool easily removes panels without marring the upholstery. 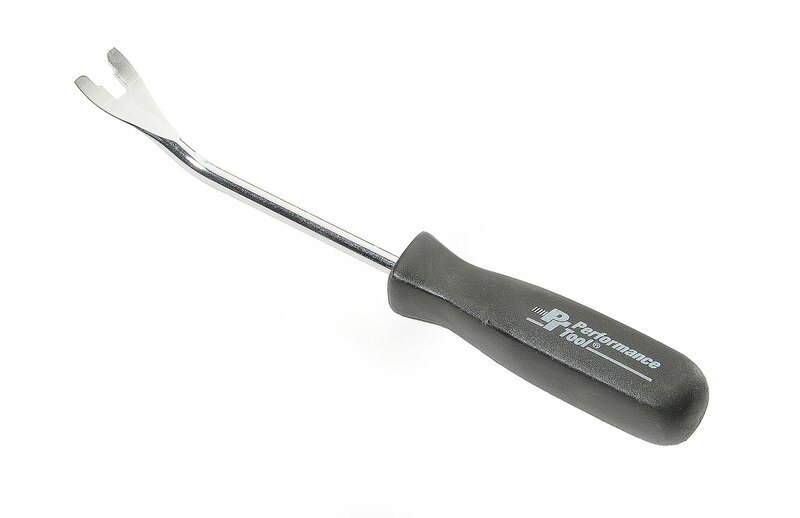 It has a heavy duty chrome plated shaft with a large, easy grip handle. The door Handle and Window Crank Clip Tool removes and installs door handle and window crank retainer clips on many popular vehicles. It feels a little chintzy for the price, but it works and hasn't failed me yet with only occasional use over three years. Good price for a trim removal tool. the metal 'pry' part is filed as to avoid any harsh edges on the trim pieces.